Premiers across the country have indicated how many Syrian refugees their provinces will commit to taking in, and the total exceeds the federal government's goal of 25,000, Immigration Minister John McCallum said Friday. In Ontario alone, the goal is to welcome 10,000 Syrians by the end of 2016. "A commitment doesn't mean those people's feet on Canadian soil, but it's an immensely good start to have such enthusiasm, not only in words, but in numbers," McCallum said. 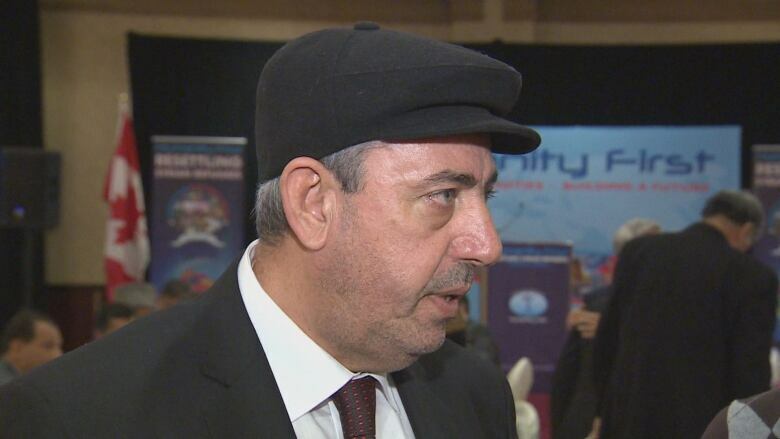 The minister was speaking at an event in Toronto hosted by Humanity First, an international humanitarian relief organization, where he was joined by other speakers with expertise in the topic of refugee resettlement. All proceeds from the event will go toward assisting with the resettlement of Syrian refugees in Canada. McCallum did not provide any details about the government's resettlement plan, which the Liberals have promised to release in full on Tuesday. He would only say that Canada will bring refugees here quickly, and make sure to get the program right. "We will give every possible consideration to concerns based on security," he said. 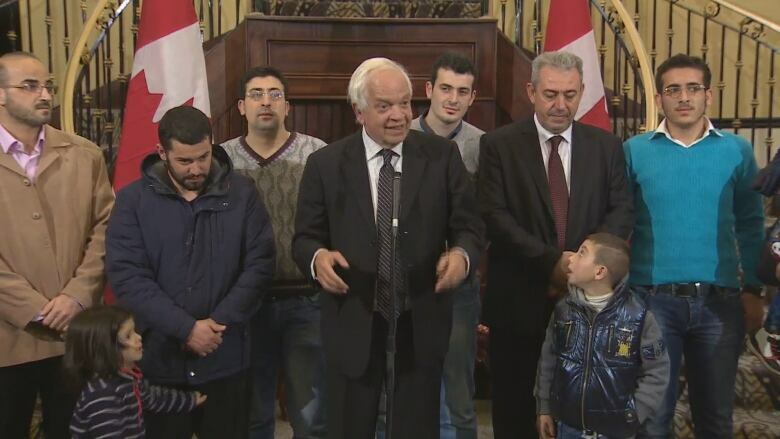 McCallum also expressed how proud he is to be involved in the Syrian refugee file. "I am an economist and I often deal with what you might call dollars-and-cents or bread-and-butter issues, but this one is different," he said. "This one is about values, this one is more emotional, and this one leads me to say I have never felt so patriotic as a Canadian as I am today, to be involved in bringing 25,000 people from the direst conditions on the planet here to our blessed country of Canada." Pressed for more details by reporters after his speech, McCallum — standing alongside a group of recently arrived Syrian refugees — said Canadian will have to wait until Tuesday to understand the full extent of the plan. "It will come. It will be clear. It will be transparent. Canadians, all members of the media, will know on that day what our plan is," he said. Earlier in the week, CBC News learned that the federal government is working with the Armed Forces to prepare for temporary housing at military sites in Ontario and Quebec.